Your attic isn’t only suitable for storing holiday decorations and old boxes. The dark atmosphere of an antic makes it the perfect place for a host of pests to call home. Whether it’s scattering mice or an army of ants, your attic can become infested with pests like these which will invade the rest of your South Carolina home. Read on to learn why these pests may have taken up residence in your attic and how Ledford’s attic pest control extermination services can eliminate them for good. Termites are never satisfied. These insects can eat round-the-clock for 24 hours a day, which is why they’re able to do such severe damage despite their small size. Your attic is an ideal place for termites because it’s filled with wood and plenty of other snacks. In South Carolina, you’re most likely to find Eastern Subterranean termites and Formosan termites. While wood is their preferred diet, termites also love anything that’s cellulose-based like boxes, furniture, and many more personal belongings. Because termites can wreak severe havoc on your home’s structure, it’s important to eliminate them as soon as possible. Signs of termites include bulges in paint or wallpaper, holes in wood furniture and boxes and wings in light sources. If you suspect an invasion, request an attic pest control appointment from Ledford’s Pest Control immediately. The bane of many homeowners, cockroaches are what most would deem their worst nightmare when it comes to home pests. These durable insects never live alone. If you see one, there are likely many more. South Carolina cockroaches enter homes through cracks in the floor or walls, air vents and even pipes. They like dark, warm places, which is why they like your attic. They’ll often scurry under the light and rush into hiding. Roaches breed fast; a female American cockroach can produce over 300 eggs in her lifetime. When you see one, there are likely hundreds that will follow suit. Household bug sprays aren’t effective as many roach eggs are protected against that type of insecticide. When you see a roach, you should act fast and call our professional pest control company immediately to find the nest and ensure they’re fully eliminated from your property. There are thousands of species of spiders, and they’re a common invader of South Carolina homes. 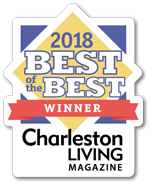 Some of the most common Charleston spiders are the grass spider, garden spiders, black and brown widows, jumper spiders and the country’s largest species, the wolf spider. One female spider can lay 1,000 eggs in a single sac. One infestation can multiply by literal thousands in the course of a few weeks depending on the severity. Attics make great places for spiders because they’re far away from danger, which is why females will lay their eggs there. If you spot spider webs around the house or in crevices like wall corners, it could be a sign of a much bigger problem that needs to be taken care of right away. Ants are more of a nuisance than a threat, but they can still cause quite an infestation. 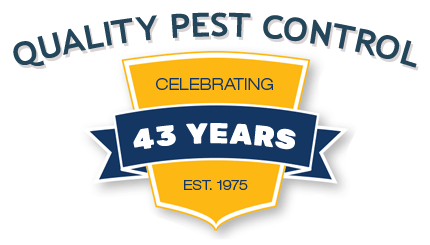 You should hire a professional pest service to remove your ant colony. Using household sprays and over-the-counter products will typically only kill the visible ants. The actual source of the colony is most likely hidden somewhere deeper in your home, and a professional team like ours knows how to spot them. They don’t just ride in your pets’ fur. Fleas can make a home in your attic by catching a ride on human bodies or clothes. They’re capable of jumping high and moving fast, which makes them hard to catch and even harder to trace. Flea bites are the most obvious sign of an infestation. Check your pet’s skin if they seem to be itching more than usual, and look for any itchy red spots on your skin. You may also spot “flea dirt,” or flea feces, in your home. These black and brown specks can appear on your carpet and other surfaces in your home. Silverfish love to hide in dark, damp spaces, so an attic makes the perfect spot for an infestation. If you spot a silverfish with their six legs and silvery-brownish color, then you should reach out to an attic pest control company immediately. You’ll often find skin left behind by silverfish, but they also tend to eat through fabric, which leaves yellow stains. Rodent infestations in South Carolina can quickly get out of hand. Mice are smaller than rats, typically no larger than 4 inches. Mice also tend to have longer ears and tails than rats. They like to hide in attics to avoid detection and sleep throughout the day. You may notice mice droppings around your home or actually see mice themselves. Our team can get rid of live mice and seal up any cracks or openings that will ensure they can’t come back. There are thousands of centipede species, but the most common one found in South Carolina homes is the house centipede. These bugs can have as many as 177 pairs of legs. They prefer dark, damp places, so attics make good hiding places. While there aren’t hundreds or thousands of centipedes in an infestation, they can still be a nuisance to homeowners. Our South Carolina attic pest control services will be able to find any centipedes in your home and make sure they’re thoroughly eliminated. 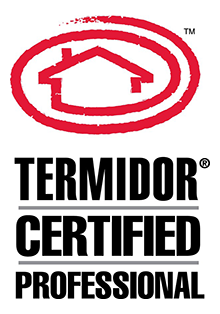 Call the South Carolina pest control pros at Ledford’s to take care of your infestations. Request an attic pest control appointment online or call one of our locations to eliminate your unwanted pests ASAP. This entry was posted in Pest Control Basics and tagged ants, centipedes, fleas, mice, Pest Control, pests, roaches, silverfish, spiders, termites.